Individuals of Welsh descent have been prominent in many areas of New Zealand life. In theatre circles, a leading personality has been Ray Henwood. 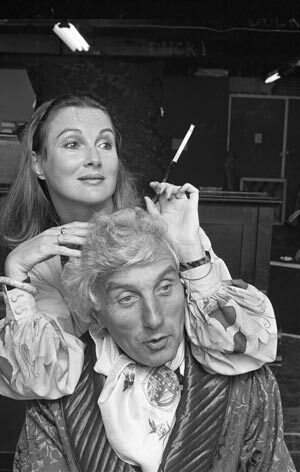 He is shown here playing David Bliss in Wellington’s Downstage theatre production of Noel Coward’s Hay fever in 1981. Ray Henwood came to New Zealand in his twenties and quickly established himself as one of the leading members of Wellington’s theatrical community. He was a founding member of the council of Circa theatre, has appeared in numerous local productions and in New Zealand films such as Heavenly creatures, The end of the golden weather and The lord of the rings. He achieved national renown for his role in the television adaptation of Roger Hall’s play, Glide time.